"The quantity and quality of partnership of a prospective supplier with banks, financial institutions, and payment gateway service providers do not only testify the nature of the services delivered but also assure on the supplier's adherence to financial regulations," says SpendEdge procurement expert Anil Seth. 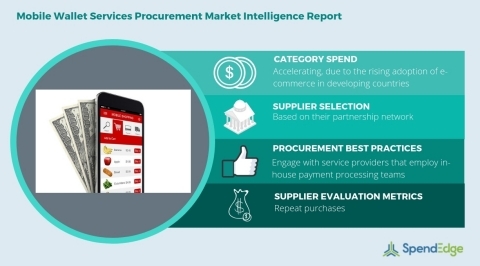 SpendEdge's procurement market intelligence reports for the financial services category offer information on critical cost drivers and category pricing strategies to help the buyers achieve significant cost-savings. The supply market forecasts offer information on supplier performance benchmarking criteria to help buyers reduce spend and establish better SLAs. Additionally, SpendEdge's reports offer category management insights and procurement best practices for the category.